Vintage sets? Yes, please! Earlier this week, we hit a home run when a gentleman from Brooklyn contacted us about his family's baseball card collection. 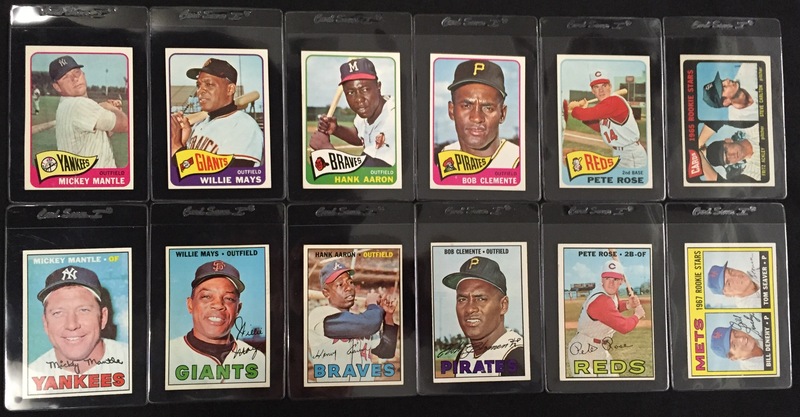 The collection consisted of complete sets ranging from the mid 1960s to the present. We had the most interest in the vintage sets, but wanted to take a look at everything. We consider "vintage" to be cards produced before 1980. Those sets will hold the most value, as the more modern sets were overproduced, causing an excess in supply, with not enough demand. After a few emails back and forth, the seller decided it was best to venture down to our office, and bring the entire collection in for an appraisal. He met with our head specialist for about two hours, as they meticulously went through each set, card by card. After a thorough review, they both decided it was best for us to only make an offer on the vintage material, as there was just not enough value in the modern stuff. So, we made him an offer on the nine vintage sets that he had (all Topps): 1965, 1967, 1970, 1973-75, 1977-79. He happily accepted our offer, and brought the modern material back to the house, where him and his brother will just keep them for their kids. 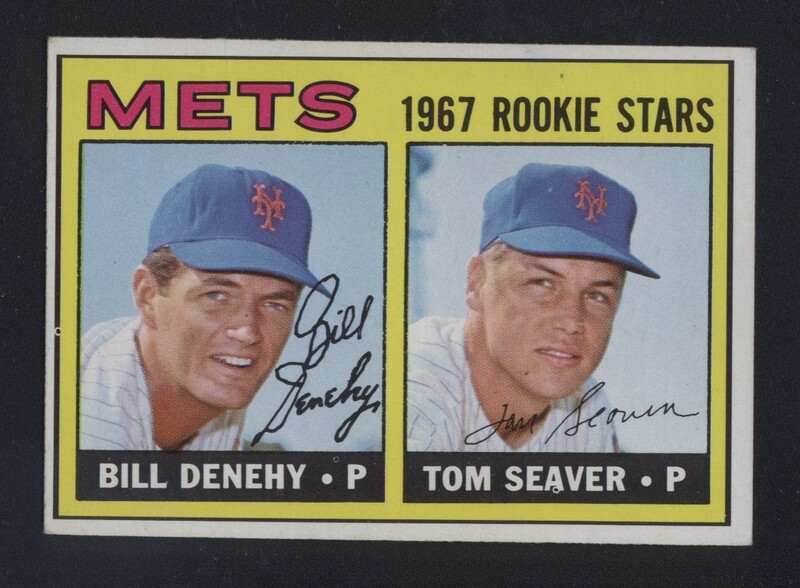 The two best sets were the 1965 and 1967, as they are filled with stars such as Mickey Mantle, Willie Mays, Hank Aaron, Roberto Clemente, and Pete Rose, while also having key rookies of Steve Carlton ('65), Joe Morgan ('65) and Tom Seaver ('67). These two sets ranged from EX to EX/MT, which we were happy to see. Most of the time when dealing with vintage sets, we come across "collector grade" material (VG to VG/EX), which has far less value. Fortunately for us (and the seller), these beauties were all kept in individual penny sleeves, inside of a top loader - which has protected them from the elements for over forty years. We were very happy with this whole transaction for many reasons: (1) It was a very quick process. From the time when we received his initial email to the time we gave him an offer on his collection was about two weeks - and half of that time was just waiting for the appointment to happen! (2) The seller was reasonable. He had done some research on his own before even contacting us. He educated himself on how much sets are worth based on condition. He had also come with the mindset that he probably couldn't sell the modern stuff, but brought it anyway. And that it would be OK if he went home with it (3) The material he was really interested in selling was exactly what we are looking for, vintage. We will buy vintage sets every single day of the week, from now until eternity. This is our bread and butter. Do you have a collection for sale? We'd love to hear from you! Call one of our specialists today to find out what your collection is worth, and how to get a cash offer within 48 hours!